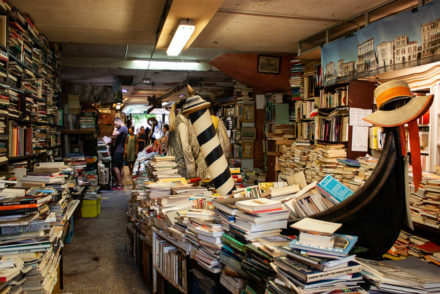 When you’re in Venice, make a stop at the world’s most quirky bookstore, Libreria Acqua Alta. Enjoy seeing books packed into canoes and gondolas, the resident cats who call the shop home, the staircase made from old books, and the “fire escape” that leads you out into a canal. 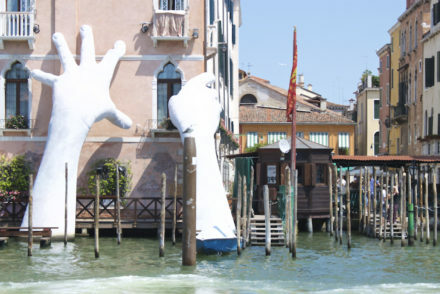 Crafted by artist Lorenzo Quinn, the hands sculpture in the Venice Grand Canal makes a dramatic statement about climate change.